Come enjoy culture, community, and tributes to The King at Warner Center Park on Sunday, July 10 as we educate the neighborhood about ACE services at Valley Cultural Center’s Ultimate Elvis Tribute Show. Stop by our booth and say hi while enjoying some delicious local cuisine and legendary rock-n-roll! ACE students and staff joined thousands across the country in the National School Walkout to declare enough is enough and protest gun violence. 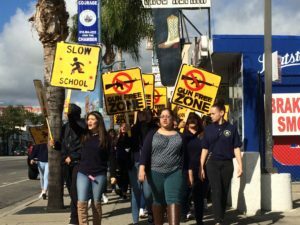 Raising their collective voice in support of school safety, the students brought awareness of this critical issue to the people of Canoga Park. 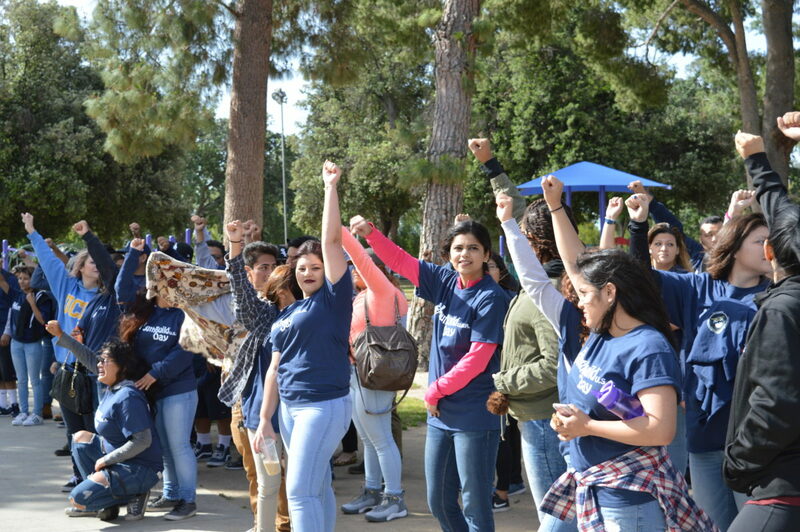 ACE’s Americorps VISTAs led students for a week dedicated to service in honor of National Americorps Week. 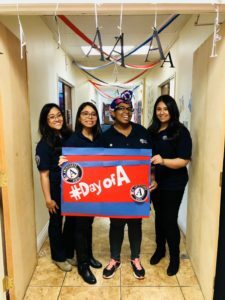 VISTAs decked the camps out in patriotic colors to highlight the spirit of Americorps. 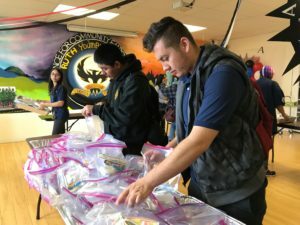 Students learned about different Americorps volunteer opportunities, participated in community building, and assembled and distributed hygiene packs for local individuals experiencing homelessness. ACE students enjoyed a day off campus learning about local business and electricity. 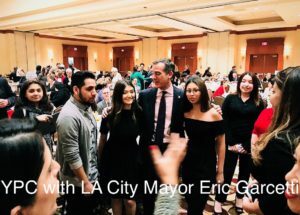 The students in Youth Policy Council attended the San Fernando Valley United Chambers of Commerce Thirteenth Annual Mayor’s Luncheon where they met Mayor Eric Garcetti and learned about the mayor’s administration as it relates to the San Fernando Valley business community. Special thanks to Canoga Park/West Hills Chamber of Commerce President Mark Neurdorff for supplying the tickets for the students to attend! The rest of the student body traveled to the City of Commerce for a tour of the Electrical Training Institute by the International Brotherhood of Electrical Workers Local Union 11. 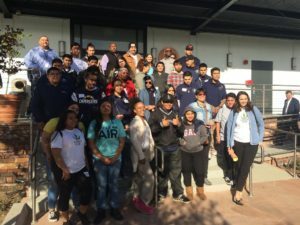 At the institute, they learned how the institute harvests and runs on clean energy as well as how to get involved in the union’s apprenticeship programs. Excited by what they learned, many students expressed interest in applying for the program and eventually joining the union themselves. Special thanks to the Sierra Club for organizing the trip and providing the transportation! Join our young people in supporting students who have been affected by the recent natural disasters in Mexico and Puerto Rico! ACE students will be hosting a fundraising relief event, alongside the Canoga Park Farmer’s Market. 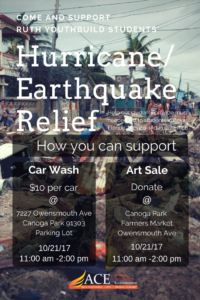 Young people will be offering car washes and selling student-made art! $10 per car wash! Give back and rebuild! Follow ACE on social media for live updates on our fundraising activities @ace4youth. 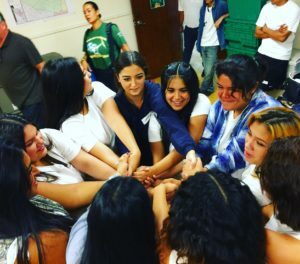 RUTH YouthBuild School Year has begun! Welcome to Mental Toughness 2017! Mental Toughness is a two week period where new and returning students prepare for their commitment to the new school trimester. Mental Toughness is a practice that is embraced by every YouthBuild site. Each trimester, our teachers and staff prepare a creative and meaningful curriculum, including fun activities to build culture, create academic and life goals, and affirm their dedication to the program. Each Mental Toughness is unique; so, students are constantly learning and building themselves, whether returning or new. We are so excited to see all of our returning students as well as many new students this year! Check out the various activities and projects for Mental Toughness on the Gallery Page! It’s that time of the year again – back to school! Join us this upcoming Thursday, August 31st at ACE for a BBQ to kick off the new school year! Grab a plate of food, play some games, and win prizes as you get acquainted with our ACE Family. Bring a friend and meet other students as you get ready for the upcoming school year! All members of the community are welcome – you can register for YouthBuild while you’re there if you haven’t already! For more information, please contact Amanda Coleman at coleman@ace4youth.com. We’ll see you there! On June 19, we commemorated the incredible achievements of our youth at ACE’s Graduation and Celebration of 2017! Students, their loved ones, and our community partners joined ACE at the Hilton Hotel for an evening of honoring young women and women who have overcome adversity and grown in knowledge, resilience, and character. In addition to the RUTH YouthBuild Class of 2017 receiving their well-deserved High School Diplomas, this memorable evening recognized GRYD members who have successfully completed their youth development program, and presented ACE’s Healthcare, Construction, and Business Trainees with their vocational certificates. 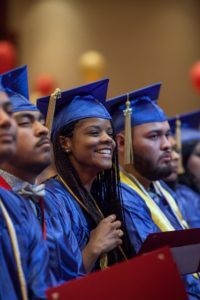 While celebrating these successes, the graduation ceremony focused on highlighting the community and civic engagement work that these young men and women have been doing as an effort to build and strengthen their community. On behalf of the entire ACE Family, we are honored to see our young men and women move forward through the next chapter of their lives. For photos and videos of our graduation, please visit the Gallery Page or our Facebook! 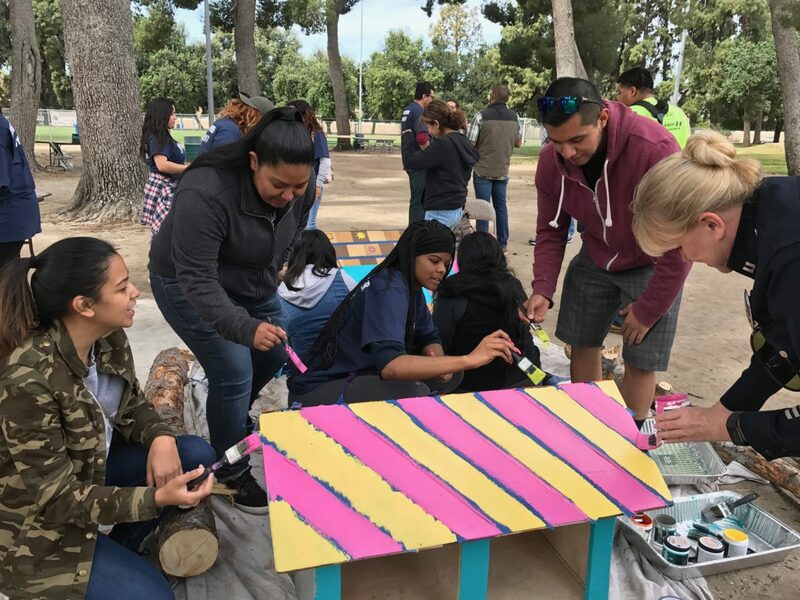 The 4th Annual YouthBuild Day took place on April 25 in our local Lanark Park, where young people worked together to develop and enhance part of their community. 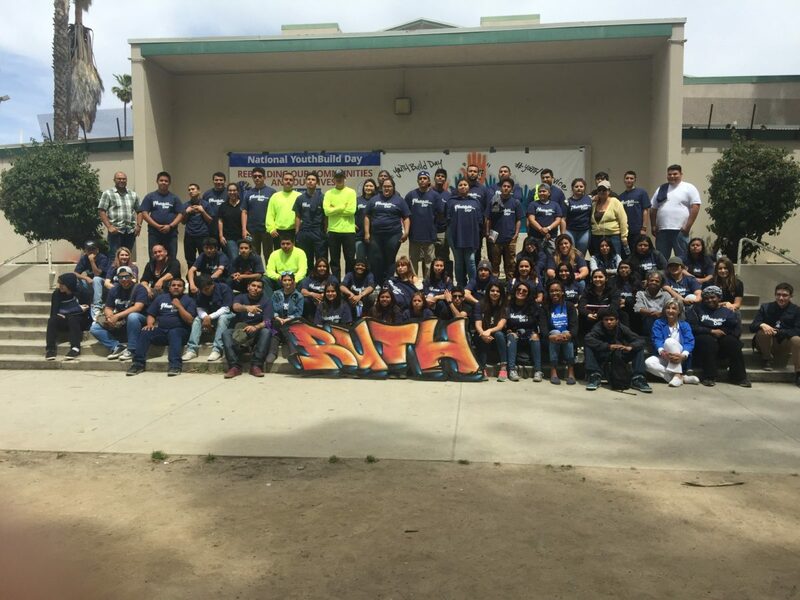 Students from two other YouthBuild sites joined our RUTH students for a sunny day of collaborative leadership and community service. 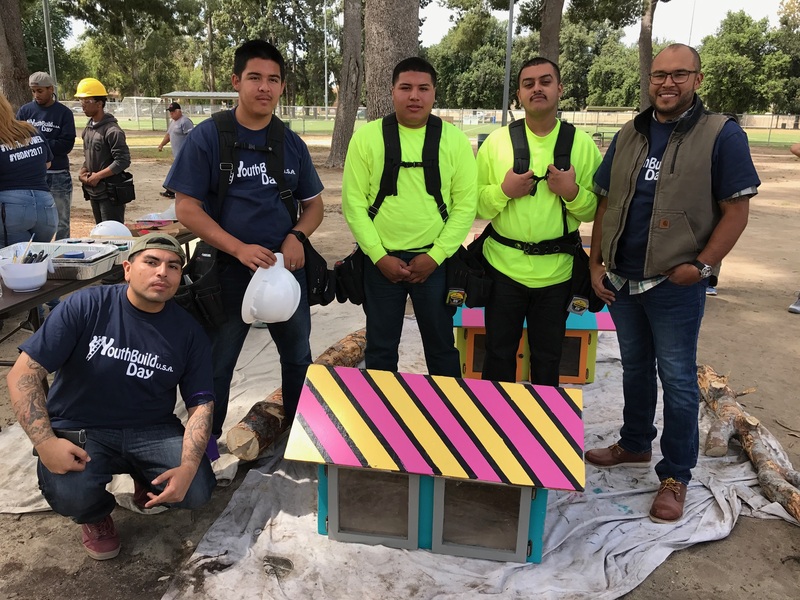 One major highlight from YouthBuild Day was the Empowerment Garden and Pop-Up Library, constructed, painted, and developed by students from all three YouthBuild sites in a collaborative effort to create a meaningful space for their community. Together, students built a pop-up library under the supervision of professional construction personnel and donated books to furnish it. Other students planted seeds for various fruits and vegetables in the Empowerment Garden. Alongside a BBQ – served by our students – staff and youth alike enjoyed games and dancing in between their contributions to these community service projects. The afternoon culminated with awards recognizing young leaders in the program who have shown exceptional leadership development and teamwork. 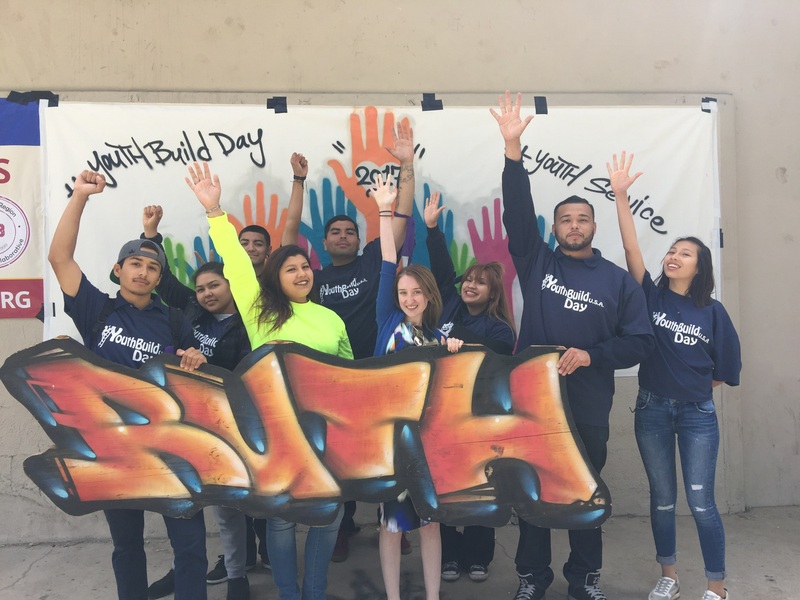 We can’t wait for the next YouthBuild Day in 2018! ACE debuted its 1st Annual Career Fashion Show on May 13, 2017, alongside several community partners, professional vendors, and various industry specialists at Lanark Park Auditorium. Featuring representatives from 12 different companies, the Career Fashion Show was an exciting way for youth to learn about the professional workforce. Young men and women modeled their most professional attire to the beat of their favorite music as they walked down the runway during the fashion show. Equipped with resumes, cover letters, and interview skills, our youth had the opportunity to network and get acquainted with different companies and industries. From fashion retailers, to Wells Fargo, to culinary trade schools, to the United States Army, youth were able to make valuable connections in their industry of choice and develop crucial networking skills.